Sam and Jazz met in Canada. Sam grew up on a property in Clyde, clambering around the stark central Otago hills and mountains, and Jazz grew up deep in the wilderness of Northern Canada exploring the vast arboreal forests. So when they met, it didn’t take long for them to fall madly in love. 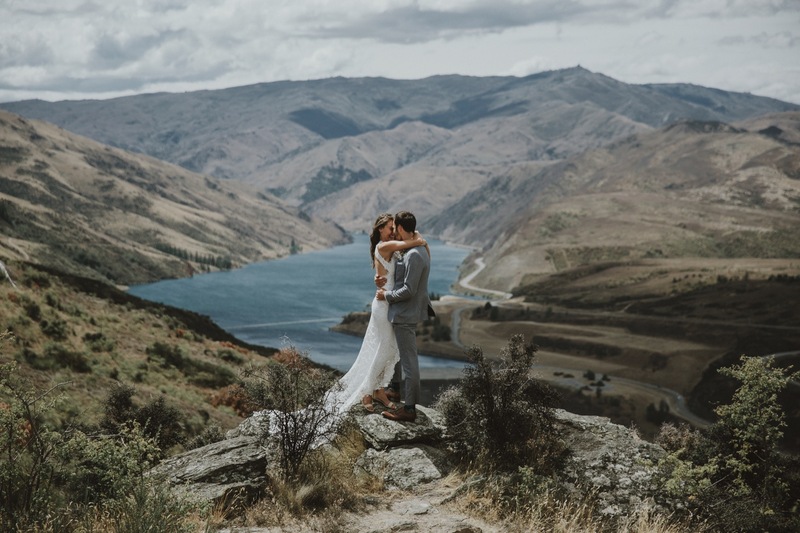 Jazz is an inspirational yoga teacher and Sam is the epitome of a mountain man, so they didn’t want a big flash wedding, but something simple and honest that reflected who they were and their love of family and the great outdoors. So they chose to get married in the garden at Olivers in Clyde with a small group of close family and friends, and had their first look up in the craggy hills overlooking the town. The moment I met them, I felt instantly at ease. Their love, warmth, sincerity and sense of adventure and fun where infectious and I know I’ll always remember them both.